​As a young Syrian refugee washing dishes in a restaurant to support his family, Heval Kelli could not know that many years later he would be a distinguished fellow in cardiology at a university less than one mile from where his journey in the United States began. Facing a steep language learning curve, a monthly rent payment, and mountains of dirty dishes, Heval knew things could be much worse. He and his family fled persecution in Syria where his father was beaten and imprisoned by the police. As a result of his life experiences, Dr. Kelli is a steadfast advocate for serving communities in need especially immigrant and refugee communities. He is a co-founder of several non-profit organizations focused on edical education (Young Physician Initiative and You4Education), mentorship (U-Beyond) and healthcare outreach (You4Prevent). He is the co-founder and president of the Kurdish American Medical Association, an organization focused connecting Kurdish American doctors with medical and college students. Dr. Kelli volunteers his medical expertise at the Clarkston Community Health Center which provides free medical care to uninsured individuals in the community where he grew up. He was recently named chairman of the Service Committee at the World Chamber of Commerce. 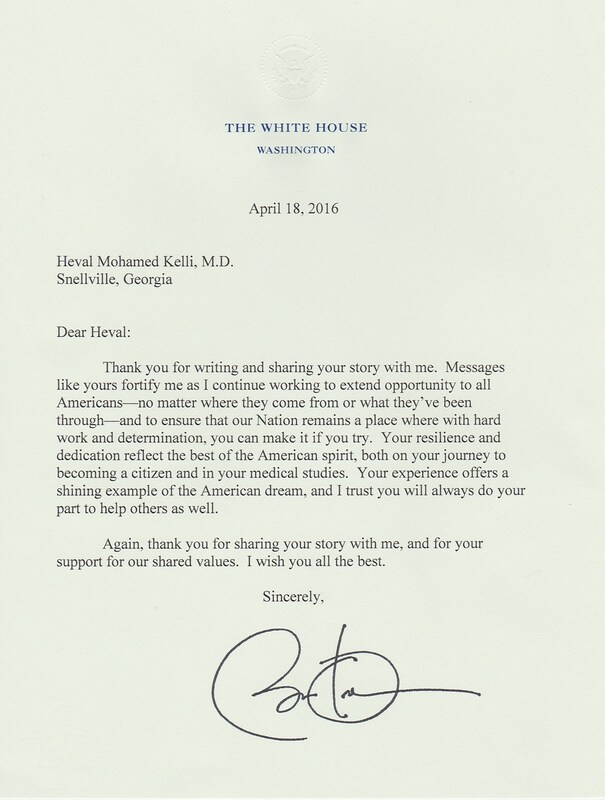 President Obama recently wrote of Dr. Kelli, "Your resilience and dedication reflect the best of the American spirit. Your experience offers a shining example of the American dream." His story and his work have been featured on national and international news including CNN, Emory University magazine, Associated Press, Creative Loafing, TEDx, Emory News, Rudaw, Atlanta Journal Constitution, MDJ, 1H2L, Voice of America, NY times, Washington Post and more. He co-founded and operated several non-profit organizations focused on medical education (Young Physician Initiative and You4Education), mentorship (U-Beyond) and healthcare outreach (You4Prevent). His remarkable journey and story were featured on national and international news including CNN, Emory University magazine, Associated Press, Creative Loafing, TEDx, Emory News, Rudaw, Atlanta Journal Constitution, MDJ, 1H2L, Voice of America, NY times, Washington Post and more. Dr. Mohamed Kelli is an adovacte for investing in refugees, immgirants and underserved communities by providing meaningful solutions in advancing education and health. He is the co-founder and president of the Kurdish American Medical Association, an organization focused on providing network and platform for connecting Kurdish American doctors with medical and college students. Dr. Mohamed Kelli was inspired by his mentorship experience and he created an innovative program, Young Physicians Initiative, that provides interactive pre-medical education to high school students. He also volunteer his medical expertise at the Clarkston Community Health Center which provides free medical care to uninsured individuals. Interestingly, the clinic is located one block from his former home when he arrived as a refugee. Dr Mohamed Kelli was recently named the chairman of the Service Committee at the World Chamber of Commerce with the purpose of creating an opportunity to promote dialogue with leaders to leverage an introduction to new business platforms. In collaboration with his lifelong mentor Dr. Omar Lattouf, Professor of Surgery at Emory University, Dr. Mohamed Kelli has launched a global initiative on Combating Cardio Metabolic Syndrome through hosting seminars in the USA and around the globe. He is in the process of launching an innovative mobile application that allows patient self-risk stratification for cardiovascular diseases. Dr. Mohamed Kelli is the co-editor of Complex Cardiac ; an on-line cardiac textbook, co-editor of on-line live webinar channel TEDNETS, where speakers give live interactive lectures to learners around the globe. His current academic mentors are world-renowned cardiology professors including Dr. Arshed A. Quyyumi, Dr Viola Vaccarino and Dr. Laurence Sperling. He is conducting and leading several research projects focused on the impact of socioeconomic status on cardiovascular health and the role of disparity in oxidative stress and inflammatory makers. As a disparity fellow on the METRIC NIH funded grant, he is studying the impact of neighborhood features and socioedeomic status on cardiovascular risk factors. He is focused on utilizing mobile health technologies to bring health education to underserved areas. He is advocate for health education and empoweremnt as drivers for healthy life. His mhealth expertise helped Rimidi in creating a diabete wellbeing score. Dr. Mohamed Kelli published numerous scientific papers and presented at national and international conferences in the field of preventive cardiology. His research progress was featured in global medical news in the American College of Cardiology and Medscape.